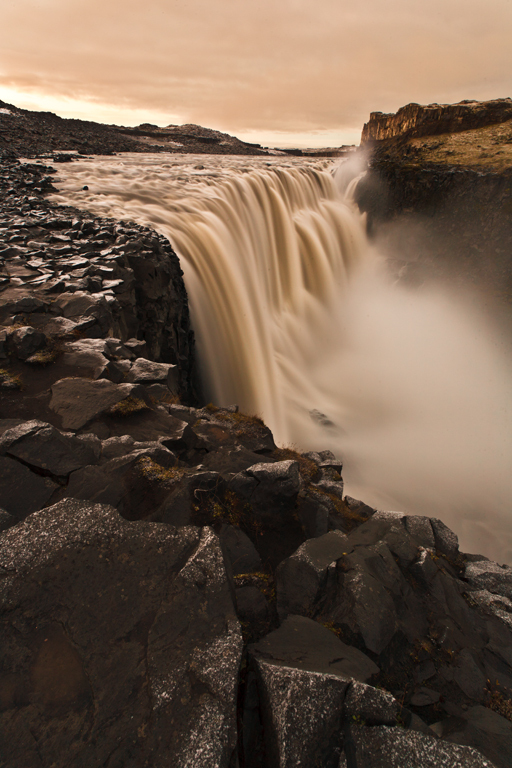 In June of this year, I will be leading a photographic workshop in one of my favorite places to shoot: Iceland. Focus on Nature (the organizers) asked me to write a blog post for them about the upcoming trip. Instead of just saying how great it’s going to be (how can it not be? It’s Iceland! ), I decided to give a little sneak peak at what folks might learn there. I’m posting the write-up here as well, because I think you will enjoy it. I’ve been to Iceland several times and the reason I keep returning is that it truly is one of the most magical places I’ve ever seen. I’m sure you can tell by the photos that this year’s trip is going to be a visually-rich journey. 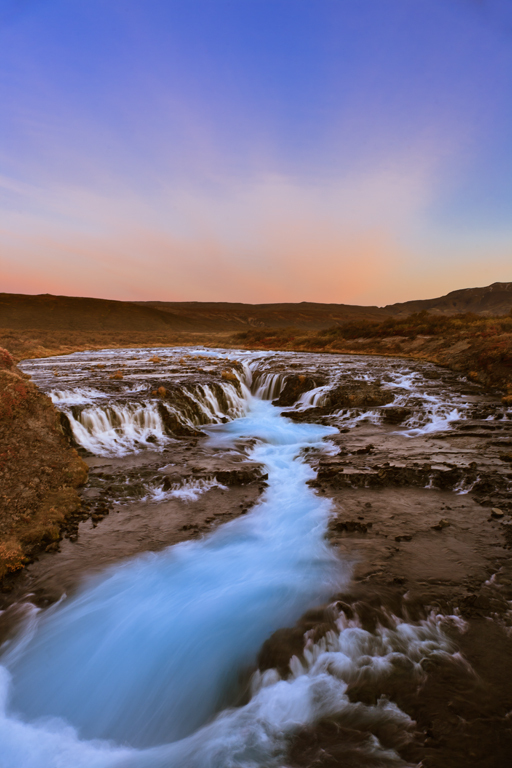 What the photos might not explain, however, is how our Iceland trips are also a journey into your own creativity and photographic education. When I was asked by Focus on Nature to write a blog post about my upcoming June 2012 trip, I decided that, instead of telling you how beautiful it’s going to be (you can see that for yourself), I would actually share some of the things you might learn in my workshop. We don’t have the space to cover everything I might teach, so I thought I’d just pick one topic and give you an example of the type of things you might learn. A slow shutter speed resulted in the silky look to this waterfall. 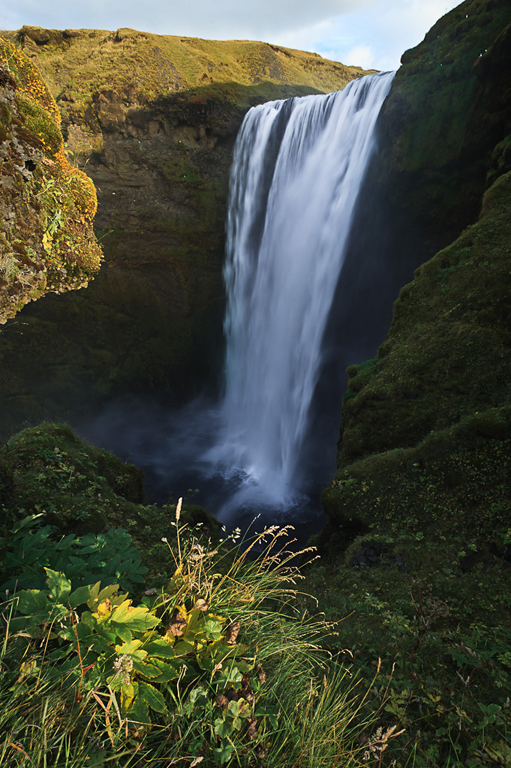 If there is a breeze at the location of a waterfall, then the area to the right or left of the waterfall can become obscured by the mist that’s coming off the waterfall. To reduce or eliminate that mist, I’ll take multiple exposures using the same exposure settings. I’ll end up with 10-12 images that look very similar, but the position of the mist will vary slightly. I’ll then stack the resulting images and then blend them using Darken mode in Photoshop, which will help to break through the mist by allowing the gaps in the mist to add up from each shot. The technique is very similar to what I mentioned in tip #1 above. In this scene, I couldn’t get correct exposures for both the waterfall and the sky all in one shot. Therefore, I bracketed my shots and merged them later in Photoshop. With this image, it took more than one exposure to both the foreground and background elements in focus. When you’re shooting a waterfall like this one with a lot of spray, it’s always good to carry a towel with you in addition to a lens cloth. 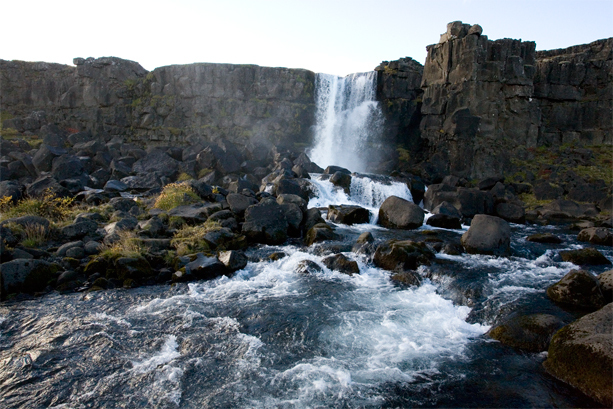 Another Icelandic waterfall… I could post 20 more, but I think you get the point. 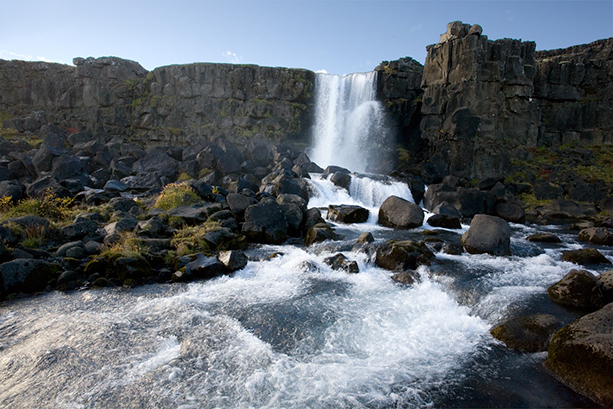 The June 24-30 trip will be my sixth visit to Iceland. I know what to expect and have a lot of experience shooting this unique landscape. 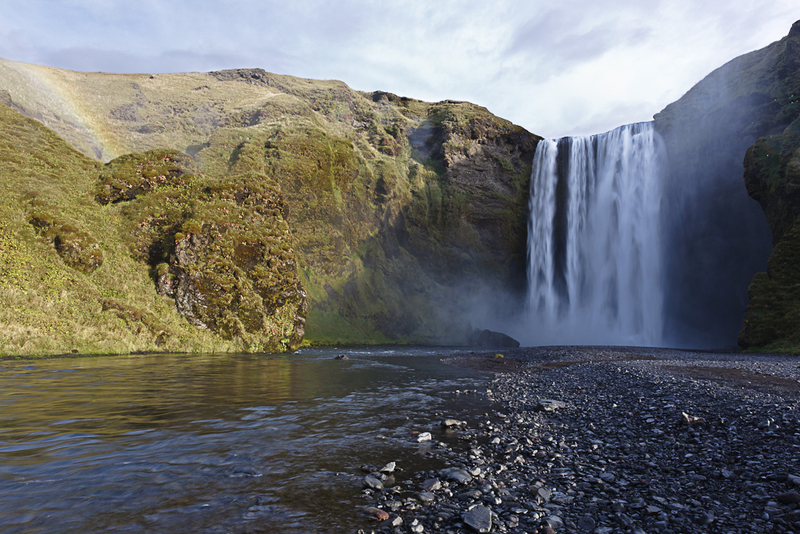 There is no doubt you’ll leave Iceland a much better photographer than you are right now. You can sign up for this workshop on the Focus on Nature site HERE. 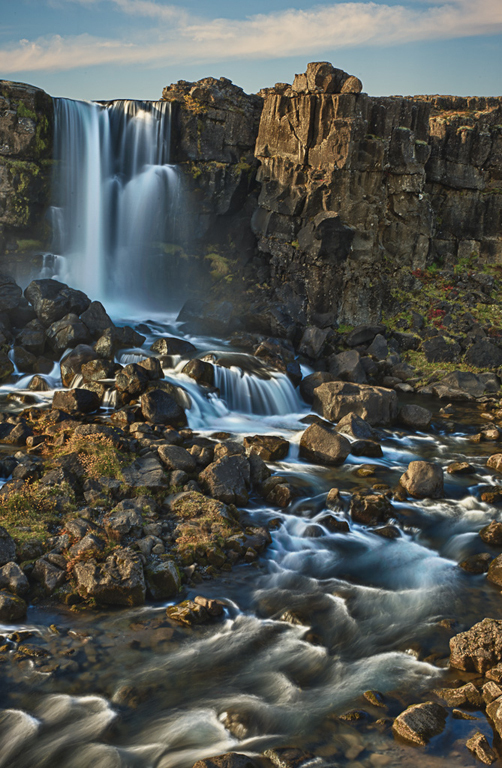 If you can’t make it to the Iceland workshop, we’ve got plenty more coming up in places like Namibia, Zion National Park, the American Southwest, and more. Check them out HERE. While most of the tips I knew, the one that peaked my interest, and just never thought about was the multiple exposure, using long exposures for the water, which I use a lot, but then the fast exposure to capture foliage that would be moving. that one I had just never thought about and can’t wait to find some scene to put that in to practice. Thanks a lot for a great set of tips. Beautiful work! I love shooting nature / landscapes on vacation…especially in Crested Butte, CO where there are some beautiful waterfalls. I’ll definitely try your tips. Thanks! Thank you for sharing these tips, fantastic…. Great tips. I’ve always just set up for a long exposure on the few waterfalls I’ve shot. I’ll have to give a few of your pointers a try this spring.